This view of Saturn, its rings and the moon Tethys represents “Target 1” in the fall 2009 edition of the Cassini Scientist for a Day contest. (See http://saturn.jpl.nasa.gov/education/scientistforaday8thedition/.) 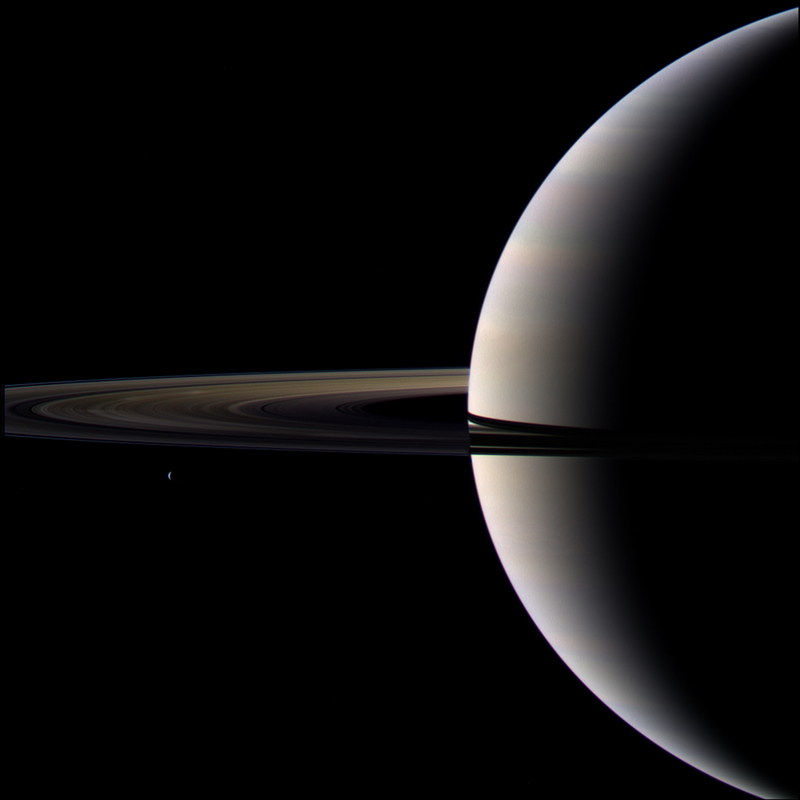 The contest is designed to give students a taste of life as a scientist by challenging them to write an essay describing the value of one target choice among three for Cassini to image. A bonus feature in the image is the presence of bright spokes on and just above the ansa, or curved edge of the darkened ringplane. The spokes are made visible here by sunlight scattering through the dust-sized icy particles and toward Cassini’s cameras. Tagged Cassini, moons, Planets, Saturn, Tethys.